This is a place that I visited quite often recently. It is also the place that I picked up my lessons on hand brewed coffee, I will review on the coffee making classes on my next post. 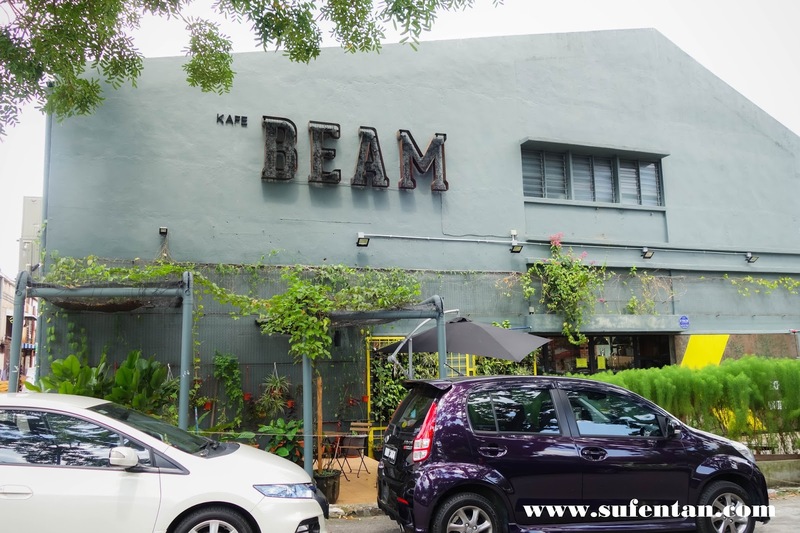 The location of Beam is quite unique, it is located in an industrial area at Bandar Sri Damansara. If you are not a coffee lover but is looking for a place to chill out with your friends, here is a cozy place for tea time as well. 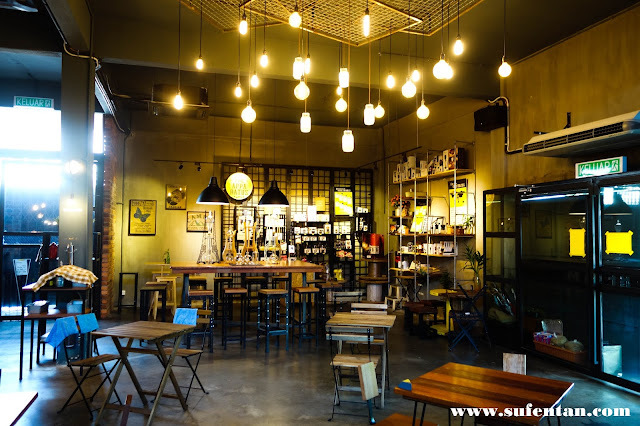 The interior uses concrete and brick as the finishing with wooden tables and chairs. 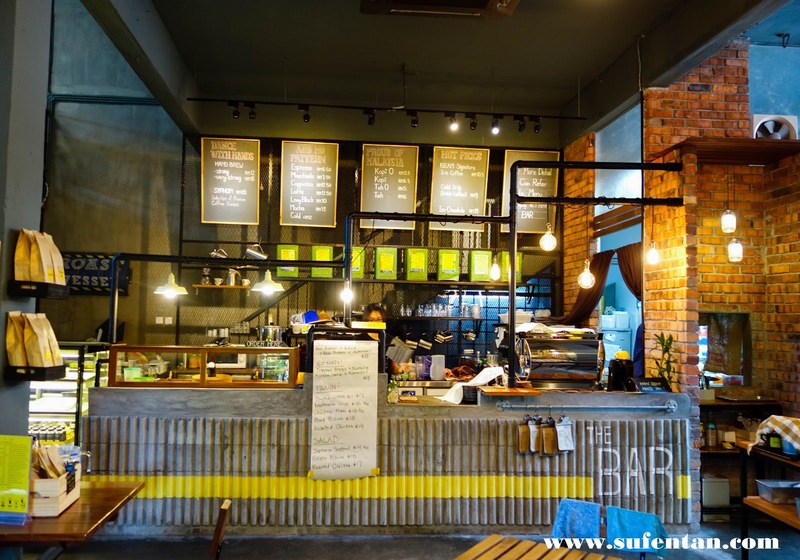 All tables and chairs are custom made by their own, it is unique compared to most of the cafes around PJ areas. The design and decoration are created on their own which I find it to be quite impressive. 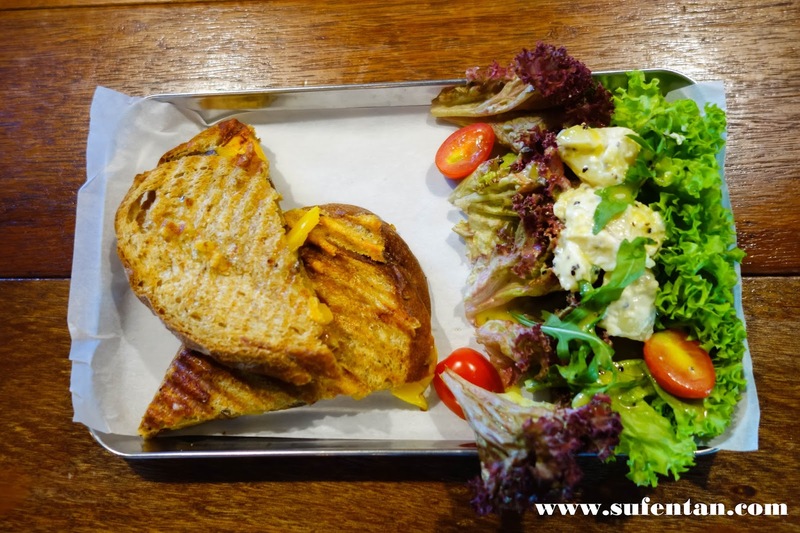 The services by the staffs are friendly and well trained, when they communicate with customers they make us feel really comfortable even if its your first time there. 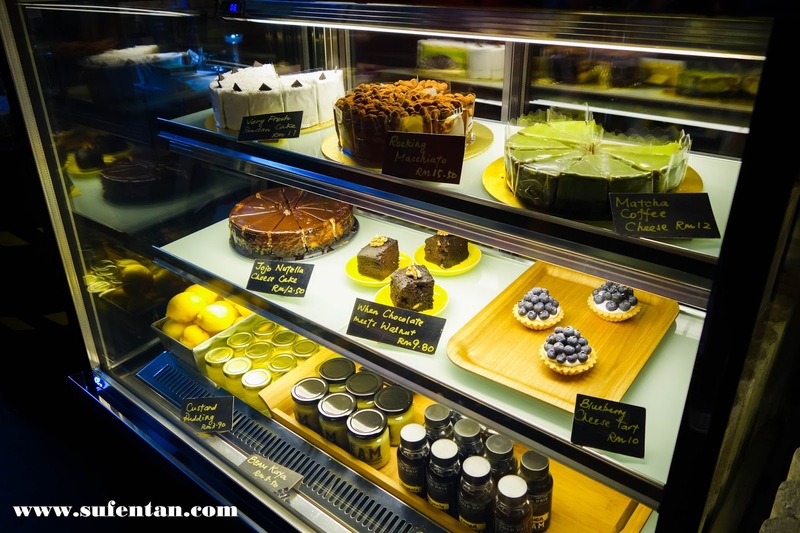 They just don't hesitate to explain everything to you about their coffee and food. 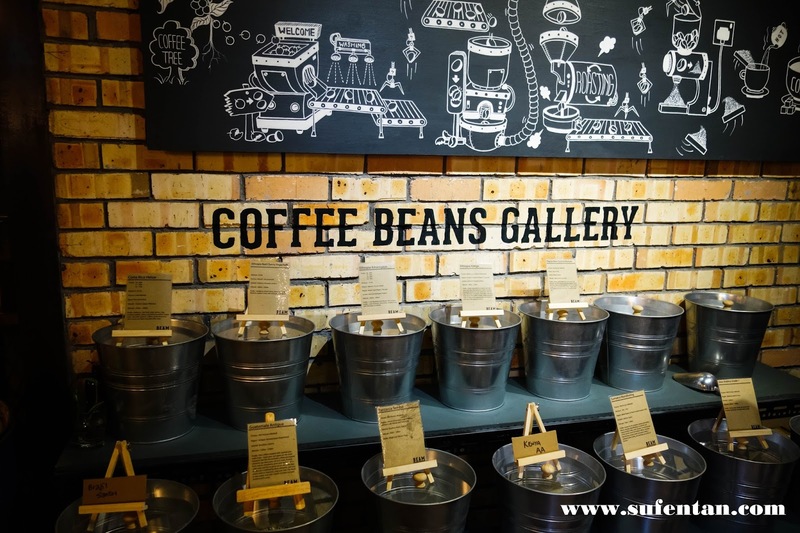 The coffee beans gallery is the place where they keep all the different types of green beans(non-roasted beans). Getting some light snacks for tea break. No worries, Beam has everything from the usual Malaysian Kuih-Muih to Western confectionery delights. 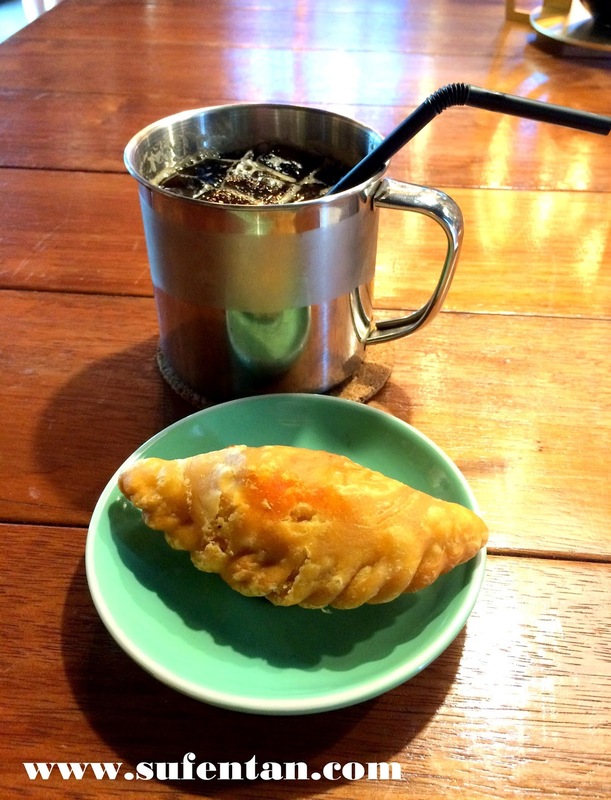 You can enjoy tea time in a Malaysian way by getting yourself a cup of Iced Kopi O and Karipap. 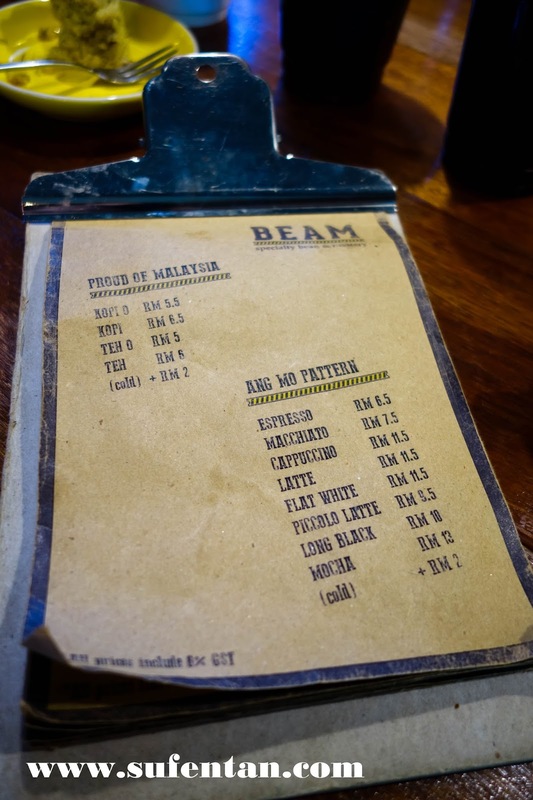 The Kopi O reminds me of my grandma who used to make Kopi O with the old filters that look like stockings, but the taste was much more richer than Beam. 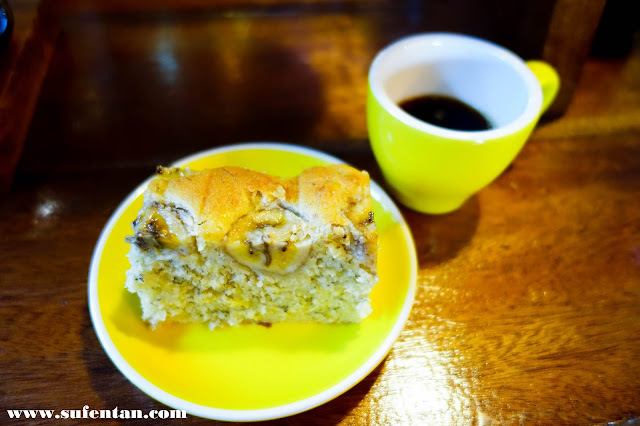 Or you can also enjoy tea time in a "angmo" way with a slice of banana cake and a cup of hand brewed coffee. I personally quite like their banana cake, rich in banana flavour with slices of banana seen on top of the cake, it is quite moist too. The above coffee is brewed by me while attending the class. 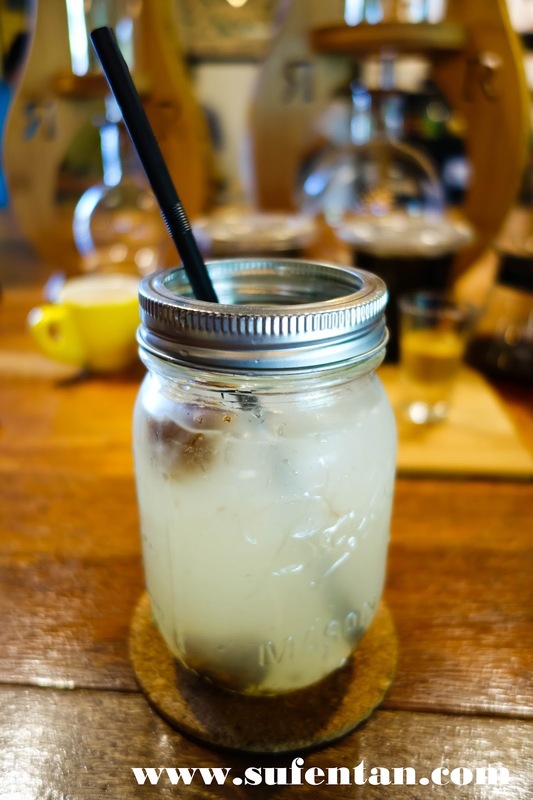 If you are not into coffee, here is a beverage that you should try it out. This is one of their signature drinks other than coffee. 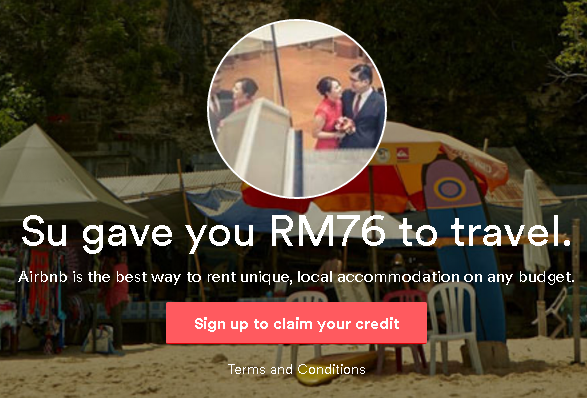 You will love it once you try! What a special name for this dessert! It is a green tea sponge cake with cappuccino as the sauce. 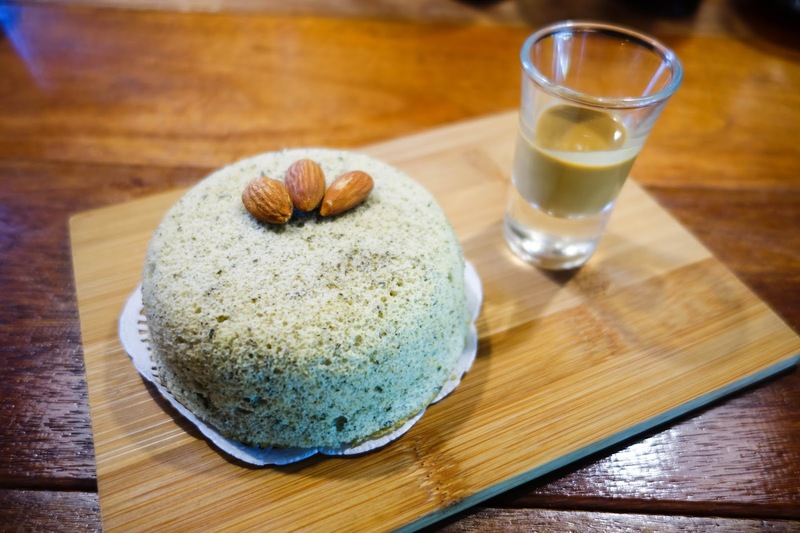 I personally love this dessert, the green tea sponge cake smells really good, tastes perfect with a dip of the cappuccino sauce. This is selling like hot cakes in their shop, specially homemade by them. 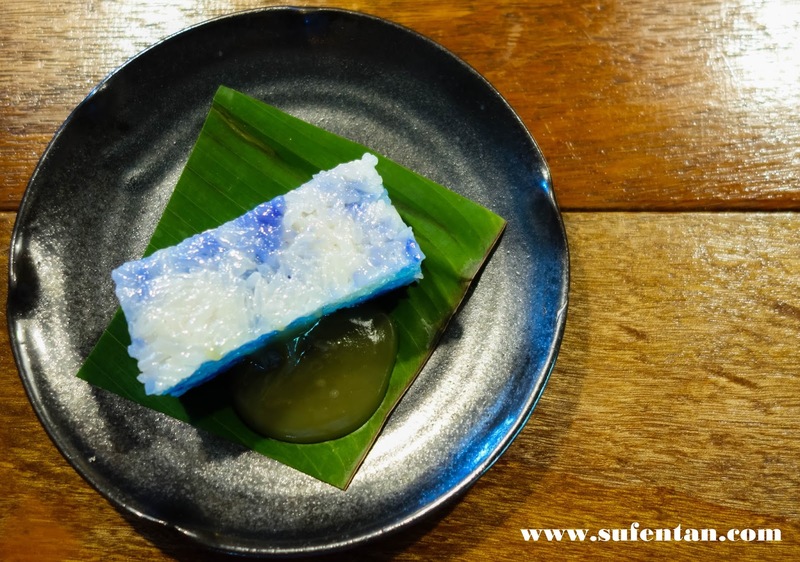 This is what we called Kaya Kuih in Penang, although it taste quite similar to Penang's kaya kuih but it is still lacking in terms of the fragrant and softness of the pulut. 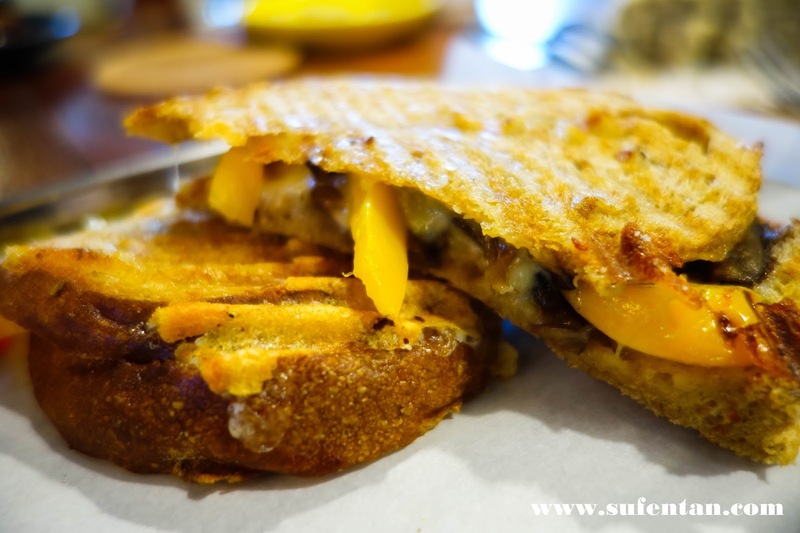 One of their house speciality- Panini, it comes in 5 different types of Panini and I chose the Mushroom Vege which is perfect for Vegetarian. The Mushroom Vege Panini comes with fresh white button mushrooms and yellow capsicum with salad as side. The crunchy Panini with juicy mushroom inside leaves you with an unforgettable experience and wanting more. Beam's main focus is on their coffee, therefore their choices of food is limited. 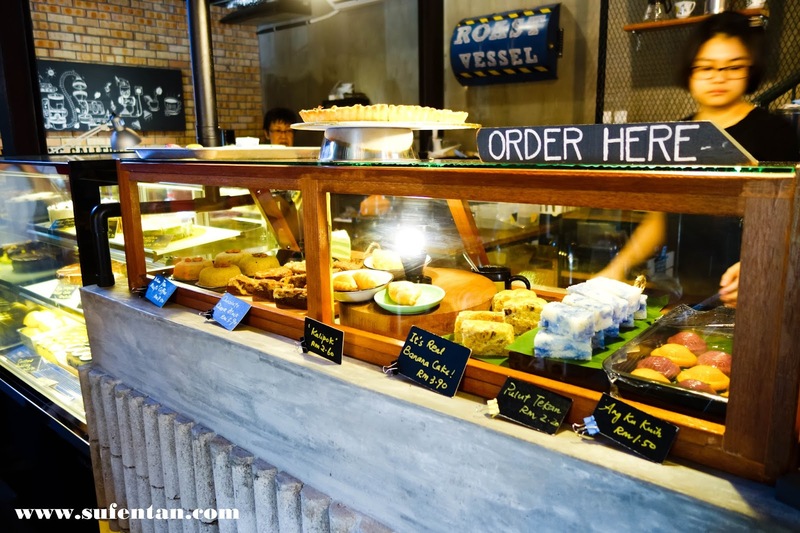 I did ask whether they will expand their menu in food, they would like to maintain as it is now for the moment to ensure the quality is sustained. If you happen to pass by Kepong area or if you're looking for a nice cup of coffee, here is where you should drop by or hang out.